Is it possible to refill the cartridges for a Canon i-SENSYS LBP6650dn printer? We wouldn't advise that you refill the cartridges yourself unless you are an expert in doing so as the toner can be a hazardous material. We don't supply refill toner, only replacement cartridges which already conatin the toner powder. Our compatible Canon LBP-6650dn toner cartridges have already been professionally refilled and are priced significantly lower than genuine Canon LBP-6650dn toners to give you a discount. Cartridge Save can make your money last longer simply by truly being very competitive about the price of Canon LBP6650dn toner cartridges. We pride ourselves on delivering Canon toner cartridges which you'll find discounted in price and dependable to work with. Still have worries about our business? If you find yourself keen to save money it'll make perfect sense for you to take advantage of Cartridge Save's free overnight delivery which will cut the price of ordering your Canon LBP6650dn toners . Cartridge Save support each and every order for reliable LBP-6650dn laser printer cartridges with our cast iron money back guarantee so that we can assure effective operation. On the grounds that we strive for experience complete customer satisfaction each time you order toner we promise to refund your payment if you're ever unhappy. Don't delay! Place your order today for the best savings! 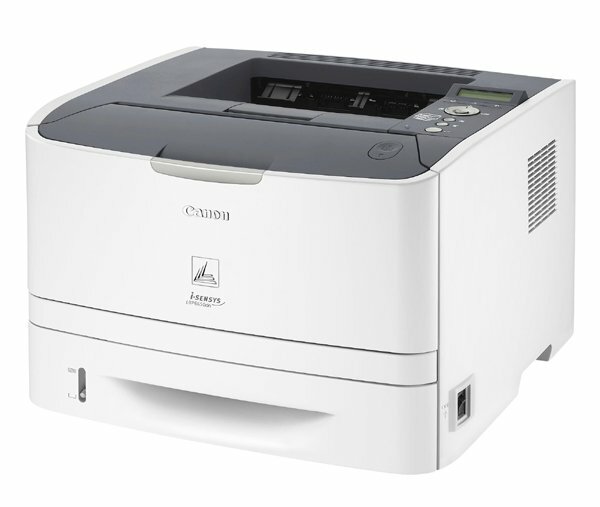 Canon designed the i-SENSYS LBP-6650dn to be a business level monochrome laser printer capable of handling a high demand printing environment. The high 33 page per minute printing speed and seamless networking technology compatible with multiple printing frameworks make the LBP-6650dn a solid high performance printing option for business users. Canon offers an all-in-one Canon LBP-6650dn toner solution that cuts down on maintenance by allowing the drum, toner, and cleaning unit to be replaced at once. The paper tray can hold 250 sheets in the cassette with an option for 500 for higher volume printing. The Canon LBP-6650dn has a maximum resolution of 2,400 x 600 dpi and prints from standby in only six seconds. This printer can handle a large range of standard paper sizes with the included cassette and comes with a secondary 50 sheet multi-purpose tray for printing non-standard sized items like envelopes and index cards. This printer comes with automatic double sided printing and accepts PCL5e/6 and UFRII input with an option for Postscript 3. Canon LBP-6650dn cartridges are available in both standard and high yield sizes designed to handle up to 2,100 pages and 6,400 pages respectively. With a comparatively low retail price, this printer offers great printing functionality at a low price. The LBP-6650dn has a high print speed that makes it ideal for an office solution where all-in-one functionality is not necessary. Canon's low maintenance toner solution and high page count per cartridge can make this printer a low price solution for businesses with moderate monochrome printing needs. With a typical energy consumption rating of just 2.52 KWh/week, the LBP-6650dn stands out as a good choice in terms of energy efficiency. This printer is also completely silent in standby mode, and prints from standby in less time than most other printers in its class. The price for this printer is relatively low, but all-in-one machines at a similar price tag will end up being much more economically sound for any business that doesn't already have adequate scan, copy, and fax solutions available.